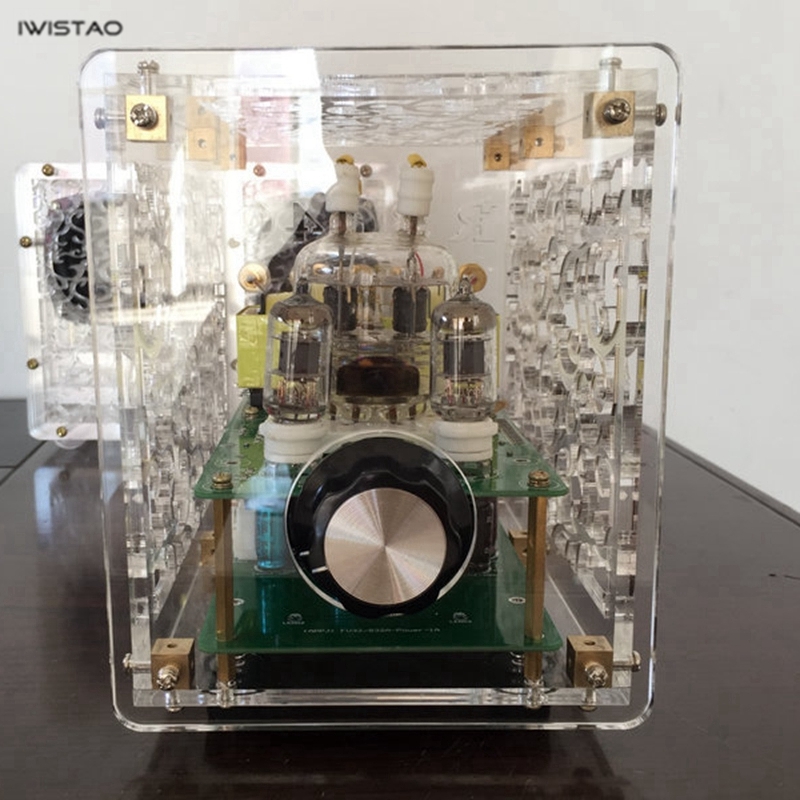 This is a pure tube amplifier, sound of this amplifier is charming, and the single-ended output of the amplifier is even more attractive. 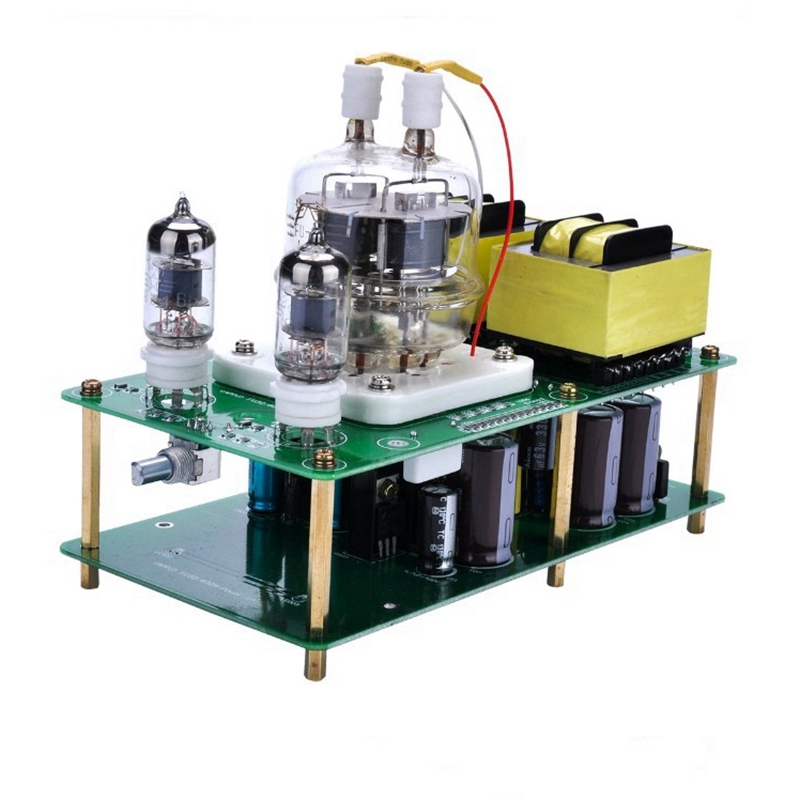 It uses tube FU32 with single-ended 3W output power , and the same golden power as tube 2A3. As long as the speakers are larger than 4 inches or equal to 4 inches, they will generally get a satisfactory volume! Output impedance is 4 ohms, 6 ohms and 8 ohms can be selected, as long as the related socket can be inserted, it is very easy to use! 1. 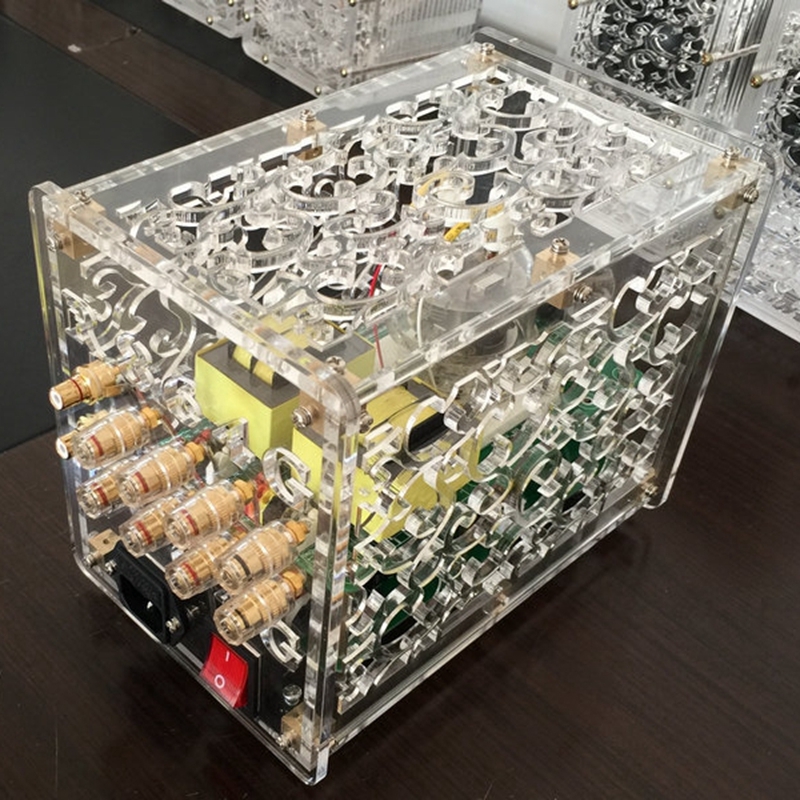 The casing is made of 4.5MM thick acrylic sheet. The charming lace is hollow, full of Chinese elements, people can not put it down! Very beautiful is simply a fine art! Can play well! 2. 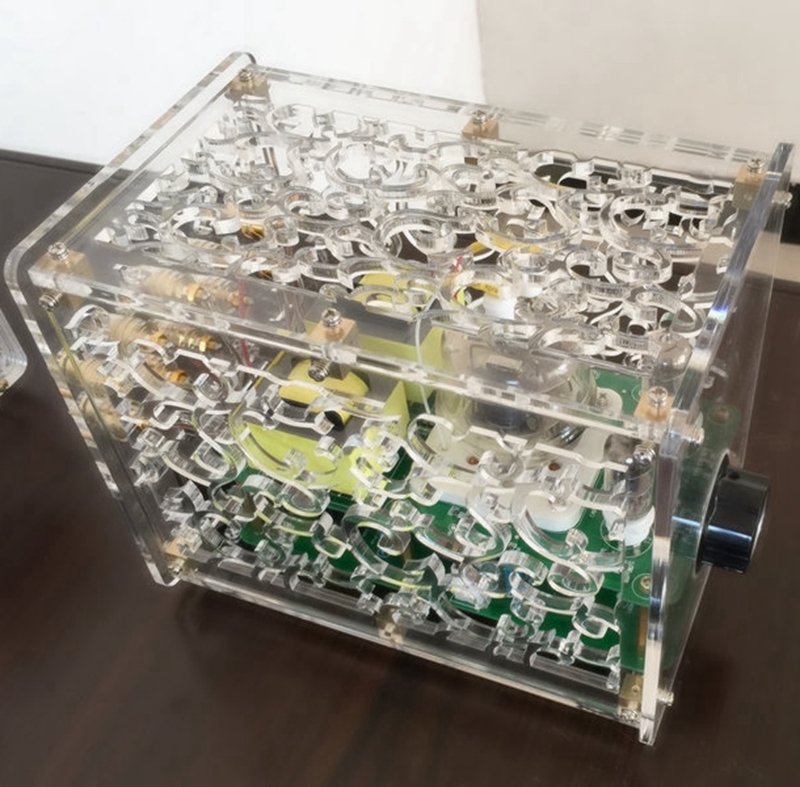 A customized switching power supply built in. 3. Use HIFI component. 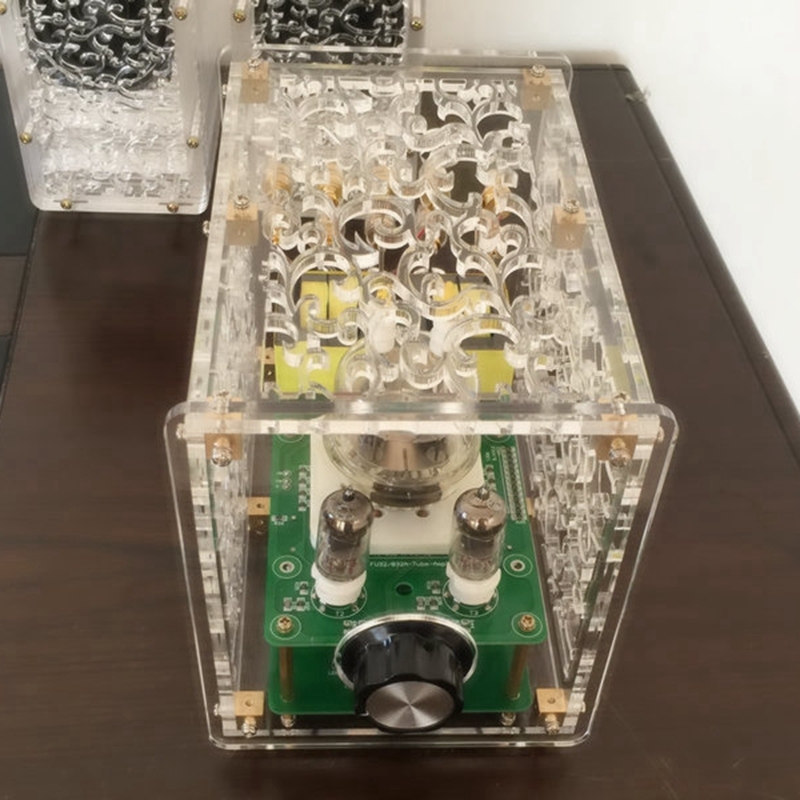 The filter and coupling capacitor adopts HIFI level one; the input adopts two high-grade pure copper lotus seats, and the output adopts eight all-copper crystal columns; ALPS potentiometer and so on. 4. Its output transformer is made of Z11 silicon steel sheet and oxygen-free copper.